Located just steps away from the pristine, white-sand Santa Teresa beach, Latitude 10 Exclusive Beach Resort is a romantic and private eco-getaway that contains just five guest casitas. As a hub for adventure and complete mind and body wellness getaway, spend your days kayaking and snorkeling the clear blue waters, surfing on some of Costa Rica’s finest breaks, rebalancing with a private yoga class or indulging in a deep-tissue massage. At the on-site restaurant, fuel up with delicious and nutritionally balanced dishes – each showcasing Santa Teresa’s fresh and local ingredients, such as tropical fruits and seafood. Set on seven acres of private beach front property, Latitude 10 Beach Resort offers guests a very personalized and intimate experience, and was originally built to be a private second home. Staying at Latitude 10 is like staying with good friends at their luxury beach house. 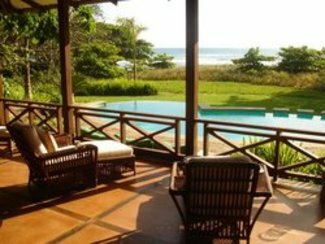 As part of its commitment to the quadruple bottom line people, planet, profit an place, Latitude 10 hires almost exclusively from the local community and encourages guests to explore Santa Teresa, situated at the southern tip of the Nicoya Peninsula in Costa Rica. Rates start at $210 per night (guestroom, low season; includes breakfast each day and use of bicycles and watersports equipment). For more information, visit www.latitude10resort.com. Hacienda Tayutic is a luxurious, family-run boutique hotel that’s located in the mountainous region of Turrialba – a community deeply rooted in agriculture, with many farms, acreages and milk-processing plants dotting the landscape. The peaceful lodge has five guestrooms with queen- or king-sized beds, private bathrooms and decks; a gourmet restaurant that features dishes made with organic ingredients and herbs grown on-site; a swimming pool and new spa; lush gardens and a macadamia nut, sugarcane and coffee plantation; and great views of the Turrialba Volcano – Costa Rica’s most active volcano. Spend your days hiking solo through Hacienda Tayutic’s 40-acres of protected rainforests, navigating Class II and III rapids down the Pejibaye River or exploring the on-site macadamia nut, sugarcane and coffee plantation. Rates start at $295 per night (low season, includes breakfast each day). For more information, visit www.tayutic.com. Cayuga Sustainable Hospitality develops and manages hotels, lodges and other tourism related projects in Latin America and the Caribbean that are committed to the four Ps of sustainability – people, planet, profit and place. It offers solutions and expertise to tourism operators looking to enhance their performance in an environmentally and socially responsible manner. As well, Cayuga provides expert responsible travel advice, including full itinerary suggestions for families, adventurers and honeymooners. For more information, visit www.cayugaonline.com.